What former U.S. president attempted the assassination of a prominent American journalist? Author Mark Feldstein drops readers into an exciting moment in history as a prologue to his new book, Poisoning the Press: Richard Nixon, Jack Anderson, and the Rise of Washington’s Scandal Culture. The former journalist, now journalism professor packages his extensive research into the lives of U.S. President Richard M. Nixon and columnist Jack Anderson. Any mention of Richard Nixon’s career is likely to bring up the name “Whittaker Chambers,” and Feldstein’s book is no exception. While the book presents both men in context, often comparing them, this reviewer agrees with Greg Waldmann, senior editor at Open Letters Monthly, that Feldstein does not seem to prove his title’s overall claim. Washington’s scandal culture resulted from larger, deeper factors. Feldstein acknowledges the impact of new media technologies. However, books like Garry Wills‘ Bomb Power (2010) support an even darker view of the nature of power and the American presidency. Regardless, Feldstein tracks Nixon and Anderson very ably. Whittaker Chambers receives mention twice and only in terms of a long-time, favorite tactic of 20th Century defamation: homosexuality. Feldstein summarizes the case so that it reads that Hoover and Hiss were both talking publicly about homosexuals and perverts during the Hiss case in 1948-1950. These were words unmentionable in public at that time, hence the power of their implication then and later, an early instance Feldstein does not draw out. Allen Weinstein quoted Hiss’s calling Chambers a “spurned homosexual” in his 1978 book Perjury (p. 561; phrase appears earlier on pp. 146, 281). In 1976, others were already quoting Hiss (e.g., New York Review of Books). Weinstein indicates that Hiss first used the term in 1976, though he does not state when and where (p. 584.) “Spurned homosexual” has become a stock phrase that continues in use in the 2000s, e.g., Spies (2007) and Nixonland (2008). Where the Hoover quote comes from, Feldstein does not mention, either. Strangely, although Feldstein describes Nixon’s references, he does no digging there: he does not talk about how homosexuality came up during the Hiss case, not even as a book note. Yet, clearly, the homosexuality implied during the Hiss case in and out of court made a major impact on Nixon. Perhaps most missing are the names of other 20th Century journalists whose careers helped lead up to the possibility of a Jack Anderson. Mentor Drew Pearson receives only a few pages: others far less, if named at all. (Pearson made the cover of TIME magazine in 1948, just as Alger Hiss was indicted for perjury.) It would have been interesting to hear this journalism professor talk about the developments from muckraking prior to World War I. Also, it would have been interesting to hear Feldstein talk about just how many presidents (among other politicians) become embroiled in political character assassination and other illegal acts. While mentions a bribe to Nixon through brother Donald Nixon, which the Kennedy family uncovered and put forward through Anderson, he takes no further step. (However, Feldstein did point at Kennedy corruption in that event for The Washington Post after the book came out.) Many veteran reporters on Capitol Hill are convinced that activities like Watergate are simply the botched efforts of which the public learns of. They believe many (more) such acts go undetected. In which case, is Washington’s “scandal culture” really the subject at all? Perhaps the real subject revealed in this book is the depth of corruption rampant in Washington, of which Nixon and Anderson were merely some of the louder partakers. Like a miracle — that is, miraculously in time for America’s biggest annual sales season — Sarah Palin called upon ghosts of Christmases past to fill the pages of her second book, America by Heart. 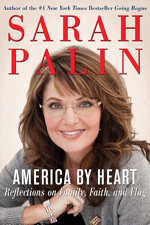 Her publisher promised an “intimate and personal look” at the former Alaska governor by presenting reflections that “read like a bible of American virtues.” Instead, the goods delivered read like a cut-and-paste job: comments stuffed between quotes from famous people — often dead, thus unable to protest Palin’s (mis)treatment. 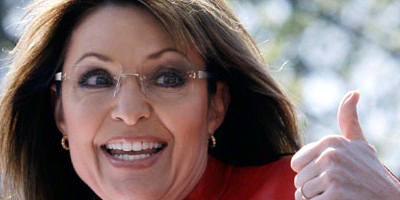 And the moral Palin draws? 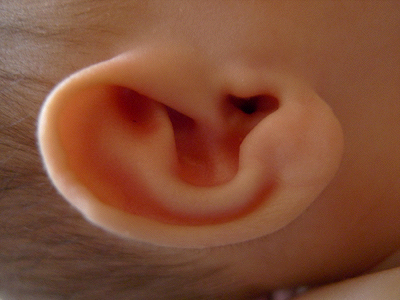 An eye, an ear, and a forehead all appeared in that passage — and the ear outshone the rest by more than a nose. This ear passage (or the “ear-flap-based assumption” as Christopher Hitchens calls it) has become the most frequently quoted from Whittaker Chambers. In which case, Palin has merely copycatted what others quote most — literally “reflective,” but not insightful. If reminding us of our own fallibility was her intent in quoting from Witness, Palin should first have read the chapter called “The Story of a Middle Class Family.” Fallibility runs rampant here. Whittaker Chambers’ parents were unhappily married. His paternal grandfather drank. His maternal grandmother went mad, amidst the comforts of home. His father left the comforts of home to explore his bi-sexuality (actually, that tidbit appears in a biography). His brother committed suicide. “For one of us to have a child,” my brother had said… “would be a crime against nature.” …I agreed with my brother. There had been enough misery in our line. What selfish right had I to perpetuate it? And what right had any man and woman to bring children into the 20th-Century world? They could only suffer its inevitable revolutions or die in its inevitable wars. At this point, Governor Palin could have countered Chambers’ pessimism with something sage composed by herself and drawn from her own family experience. However, to quote from Witness is to pass up Chambers’ most famous essay for TIME magazine — which is also about family. The piece is “The Ghosts on the Roof,” written about the Yalta Conference. Controversial when published, it proved so prescient that TIME reprinted it three years later. 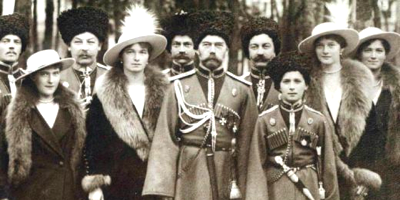 The family in “The Ghosts on the Roof” are ghostly members of the Romanov dynasty, who are watching Yalta proceed from the roof of the Livadia Palace. In an interview published in Australia’s National Observer, American author Elena Maria Vidal discusses why we hear about McCarthyism and its excesses but not so much about the Hiss case. "Whittaker Chambers in Books" reviews books with Whittaker Chambers tagged either as Subject, Actor, or Mention, focusing on most recently published books and working back historically to the Hiss-Chambers Case (1948-1950). Miles Gone By: William F. Buckley, Jr.